This switch when properly wired will have either neck on or off and both necks on if desired. 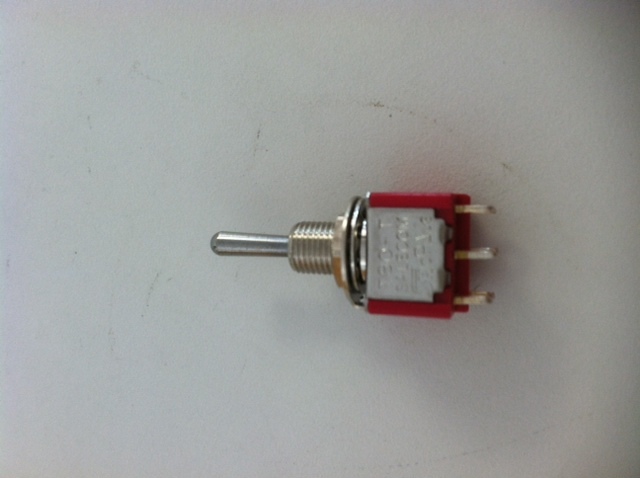 This is a replacement neck switch for a double neck guitar. It can be wired to have both necks on, or either the top neck or the bottom neck on. This is original equipment on all new Mullen double neck guitars. Free shipping in the 48 contiguous states.